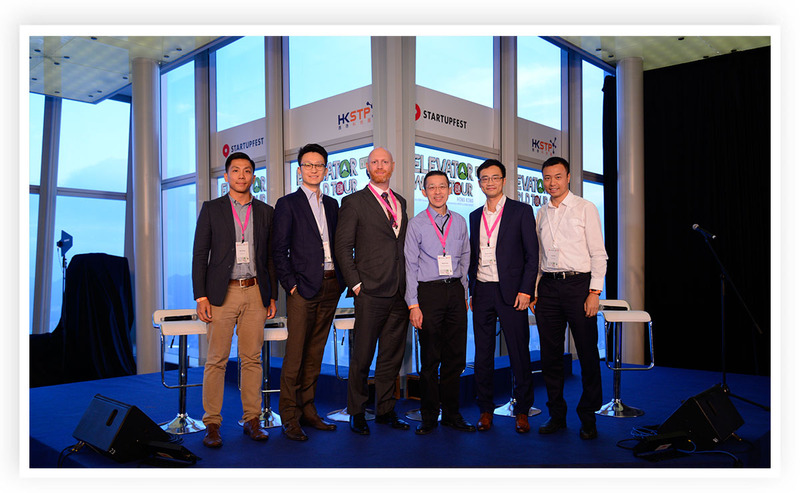 DYXnet Group was gold sponsor of “Elevator World Tour™ Hong Kong” organised by Startupfest (La Fondation du Startup de Montreal) and the Hong Kong Science and Technology Parks Corporation on October 13. Some 100 rookie entrepreneurs each gave a 60-second pitch – while inside an elevator – on why his or her start-up was worthy of funding. Renowned for his entrepreneurial flair, DYXnet Group Founder and CEO Lap Man was one of 20 judges assessing ideas in panels of two while riding up and down in elevators serving the ICC, Hong Kong’s tallest building. Panelists and judges pose for the camera. 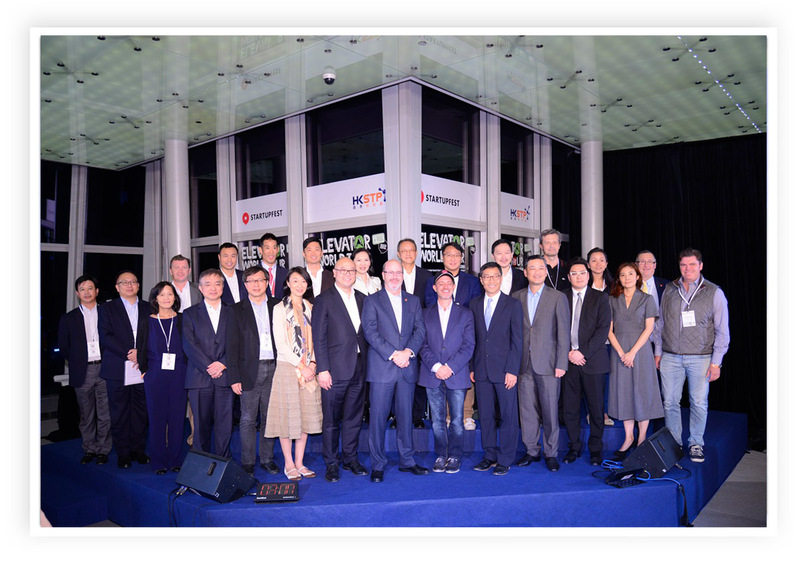 DYXnet Group Founder and CEO Lap Man is fourth from the left in the second row. An “elevator pitch” describes how the important points of a business idea can be outlined in the very short time an entrepreneur has a captive audience. 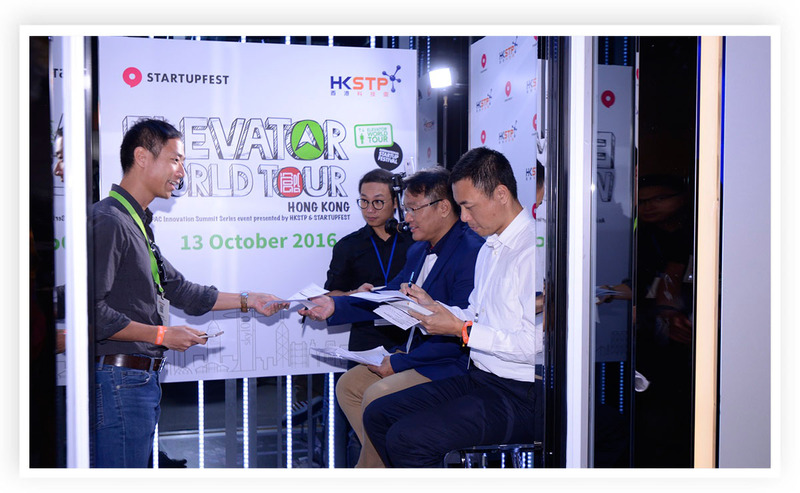 Lap Man deliberates with fellow judge Alan Chow (left), Chairman of Focus Capital Group Limited, over who should be one of the 10 finalists. 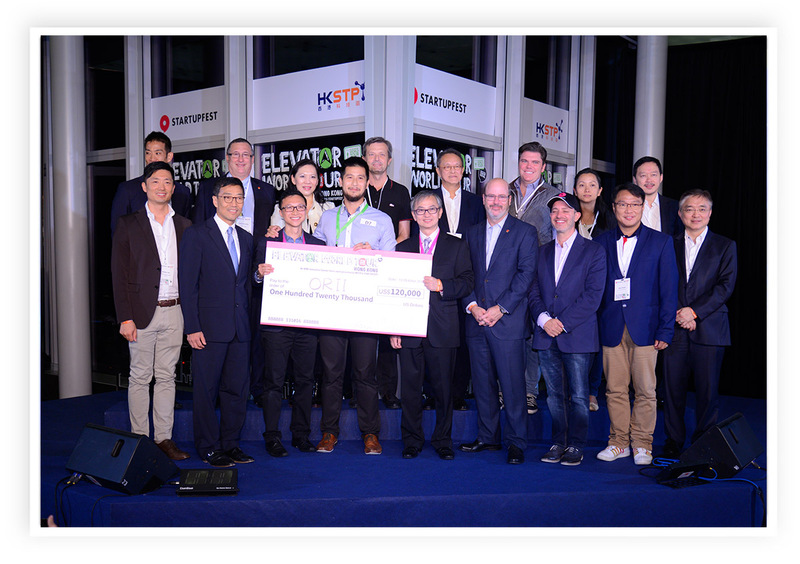 Hong Kong was the only city in Asia to host this unique start-up event, following competitions in landmarks such as Toronto’s CN Tower, Tel Aviv’s Azrieli Tower and the Eiffel Tower in Paris. A shortlist of 10 finalists eventually fought for start-up funding of US$120,000, which was won by Orii. This is the start-up behind the first wireless device to be set in a finger ring, thereby transforming the wearer’s hand into a smartphone. The Orii start-up wins funding of US$120,000. Lap Man (far right) served as moderator for the panel discussion on “MNCs and Start-ups: Conflict or Collaboration”. 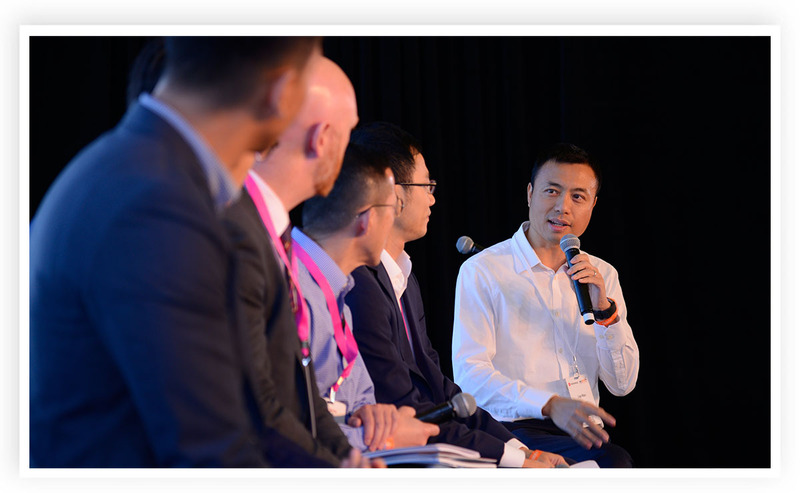 This involved speakers from DBS Bank, Global Sources, Gobi Partners, KPMG and SPD Silicon Valley Bank. A DYXnet booth featuring a “Darts on POPs” game proved popular among visitors. Lap Man is an authority on start-ups. In 2014, he sold various DYXnet business interests to become an “angel investor” in ideas that became HKTaxi, Hong Kong’s most popular taxi-calling app, as well as the “51WM” O2O food-delivery platform and “Delivery Republic”, another food-delivery enterprise.